Vada and Indian Railways are synonymous in my mind. You must be thinking WHAT? Well, the first thing that comes to mind when I think of travelling by train is all the food vendors, acres of pastures, the deafening noise when crossing a bridge, water bodies going on for ever, rural life, children half naked waving cheerfully at you and true the list goes on. However, I am sure you will agree all the vendors screaming names of food which you can never follow, unless you are looking out the window and observing what he is carrying, flashes through our minds when we talk about trains in India. You will also agree that the dabba walas have made their niche for themselves by producing 6 sigma work. Today I present to you, vadas made quite popular by the Indian Railway vendors and I dedicate this lovingly to all of them. Anyways, here is an unadulterated homemade version for you to enjoy and try saying vada vada vadaiiiiiiiiii before serving, taking the third vadaiiiii on a high pitch and dramatically ending the way you have heard on your favorite journeys by Indian Railways. Have a fun day guys! Kuchu kuchu kuchu! Note: I have tried making this with only Chana dal and I like that too. So if you only have either of the dals mentioned go ahead and use 1 cup of any of the dals. This vada really brought me train journey memories in a flash. 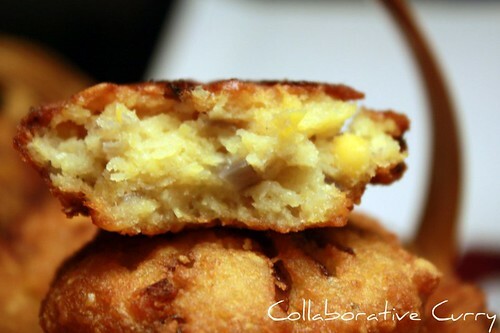 Those vada's look marvelous and sumptuous! Nice presentation! 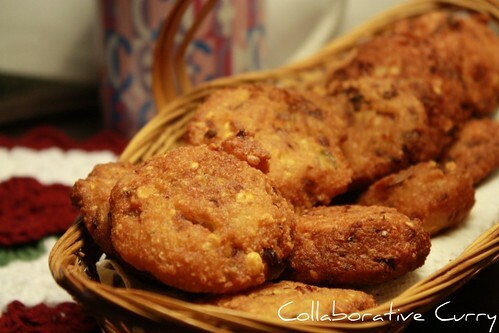 Hi..Masala vada looks fantastic..& yummy...We appreciate your comments along with our other blogger friends...so please come and collect your award from our blog.. This is my all time fav. Looks so good. Nice recipe. YUM! Nice and crispy on the outside and soft and yummy on the inside... perfect! Used to have this all the time when travelling by train to Kerala. Great snack! I never had those before...there are a few of ingredients I don't even know,but they look really crisp and delicious. sunitha! this is indeed nostaligc of our train ride from mangalore to kerala! vada, vada, chai, chai! i will surely try this out! 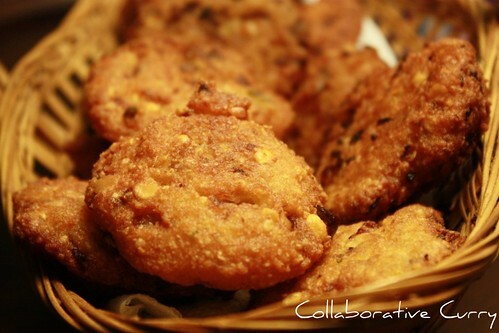 lovely crunchy masala vadas, can I grab them from the plate and have a bite? Love to have parippu vada with pazham. Haha.. Lovely write-up gal!! I love the sound of "idly-vada, idly-vada" in the trains.. it is like listening to your old friend! Gosh, how I miss them!